You’re bound to experience jet lag whenever you’ve just started out on an adventurous trio or returned from a dream vacation. In case you don’t know what a jet lag is, let us briefly explain to you. A jet lag is a feeling of tiredness you get after a long-hour flight. A jet lag surely puts a damper on your vacation tempo. You might come across a lot of products that claim to kick the jet lag to the curb. Some of them include a sleep-tracking app, a freezing cold ice-chamber, a magical drink, etc. However, it’s really hard to look for remedies that actually work in curing the jet lag. So, how are we supposed to cure the jet lag after all? It seems like there isn’t a quick fix for this debilitating fatigue. Many people try different techniques to get over it but all in vain. After doing some digging, we finally came across some ways that could not only cure jet lag but also make you look and feel fabulous within no time. You should definitely check out these helpful tips to cure your jet lag if you’re a frequent traveler. Want to cure a jet lag? 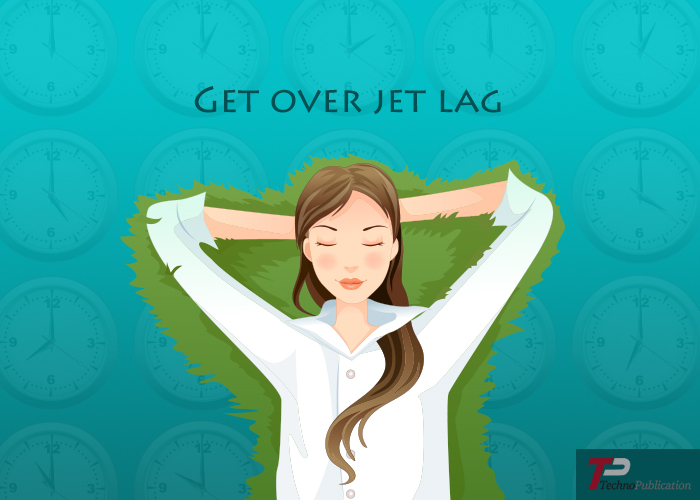 Here are some of the ways that can help you get over jet lag effectively. It’s quite obvious that your first instinct is to head to the nearest coffee shop or a bar when you’re feeling pretty exhausted. However, if you’re really keen on getting over jet lag then you should avoid caffeine. Learn to resist that instinct of yours. If you think caffeine is going to help get rid of the tiredness then maybe you’re wrong. 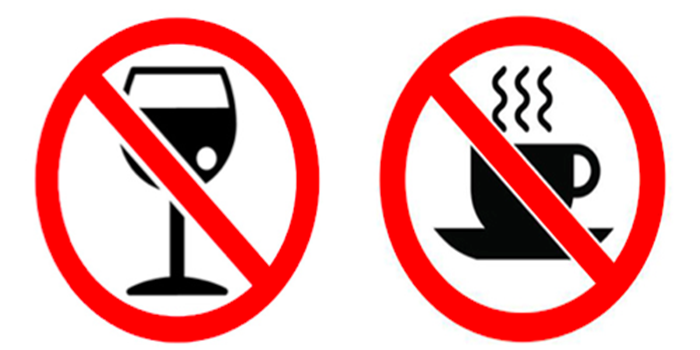 Consumption of alcohol as well as caffeine can dehydrate you as they are stimulants. They can make your jet lag even worse. So, it’s better to abstain from these two substances. Long, tedious flights can often leave you tired, stiff, and extremely dehydrated. There’s one substance that can help you feel refreshed and that is water. It’s always good to drink plenty of water before, during, and after your long flight to lessen your jet lag symptoms really fast. 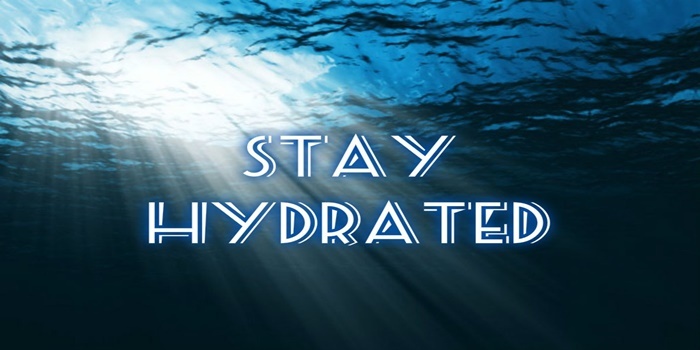 Water is the best source to keep yourself hydrated at all times and must be consumed recurrently. Since vitamins are really helpful for your body, you should consider taking them when you’re having an extreme jet lag. Vitamin B-12 keeps your body alert and energized whereas Vitamin D maintains the melatonin levels in your body, which in fact, is a hormone that helps your body prepare to get some sleep. So, do not stop yourself from getting outside and soaking up some sun. The sun will help you replenish the vitamins in your body. For people who avoid stepping out in the sun for the fear of getting a heatstroke, we recommend them taking essential vitamins on a regular basis. these vitamin supplements will help replenish the deficiencies in your body, allowing you to get over the jet lag quickly. Traveling can be quite stressful and extreme stress can make the effects of jet lag even worse for you. Consider doing a yoga session. A quick yoga session can definitely help you relax for a bit and retain your energy level. You can stop by anywhere – whether it’s your hotel room or a living room – and start the yoga session to give yourself some relaxation. Even if you’re not keen on doing a yoga session, you can start with mild home exercise to keep yourself active. An intake of juice can help you feel refreshed and hydrated. Your immune system will also get a boost after you swig a glass of juice down your throat. You may also consider drinking lots of water to keep yourself hydrated. Because only liquids are going to help you get over a jet lag sooner than any other substance. Melatonin is a natural home supplement that can help you fall asleep. Taking some of this supplement a half hour before going to sleep can help you in sticking to your current time zone’s schedule. In case you’re traveling to a country where the time zone is completely different, by taking this supplement, you can fall back to sleep in your country’s time zone. This will help keep you on the same sleeping schedule without disrupting your sleep routine.